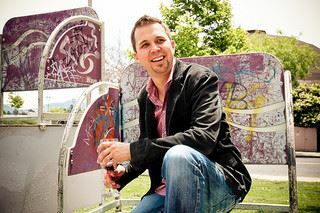 Wine Communicators of Australia (WCA) is thrilled to announce Paul Mabray, co-founder and Chief Strategy Officer of VinTank, as presenter of this year’s national Annual Lecture Series. He will discuss the power of digital intelligence and how the social frontier can drive wine business growth. Based in California, Paul Mabray is one of the world’s foremost digital media experts and has revolutionised the way the wine industry – and more recently the food and restaurant industries – communicate with, and understand, their customers. VinTank has more than4,000 wine brands using its social media monitoring platform and reporting system, to track more than one million online wine conversations per day, across 300,000 social media sites, 15,000 wine-focused blogs, 110,000 forum sites, and 11 million social customer profiles. WCA Chair Angie Bradbury said Mabray’s global and digital reach will mean this is a rare and valuable opportunity for Australia’s wine, food and tourism industries to meet and learn from one of the world’s most influential digital strategists. “Mabray is a leading entrepreneur and visionary in using digital technology to drive business growth,” Ms Bradbury said. Mabray said we are in the age of infinite choice, and service is the only differentiator. “For the hospitality industries this is especially important. I am excited and pleased to join WCA, who is leading the way in helping to educate wine business people on how to succeed in connecting to the world’s customers using modern digital tools,” Mabray said. Perth: Friday, 4 April 2014 at location and time to be confirmed. Tickets to attend the Lectures are $95 for WCA Members and $145 for Non-Members and can be booked by clicking above city event. Mabray joins an esteemed list of Australian and international wine communicators, who have headed up its national Annual Lecture Series, with previous keynote speakers including UK wine writer Robert Joseph, Australian wine legend James Halliday, US social media expert Rick Bakas and UK wine writer Andrew Jefford.